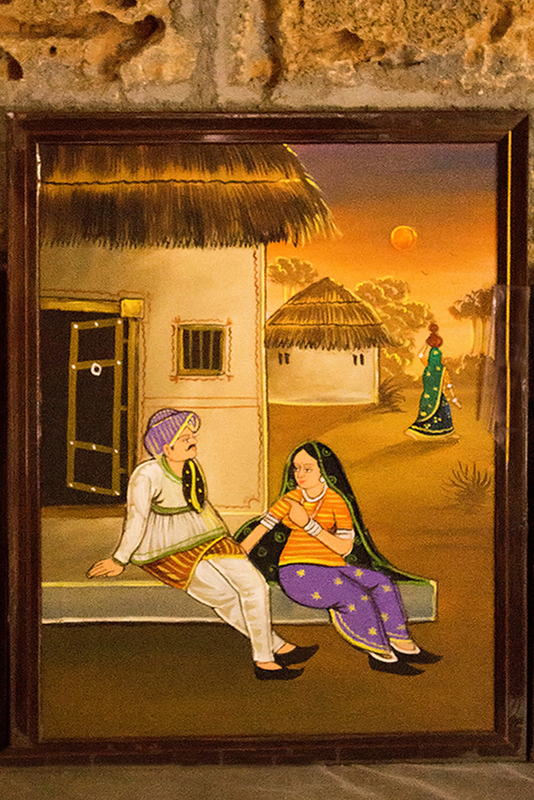 The mud art carried out at Kutch is purely handmade. 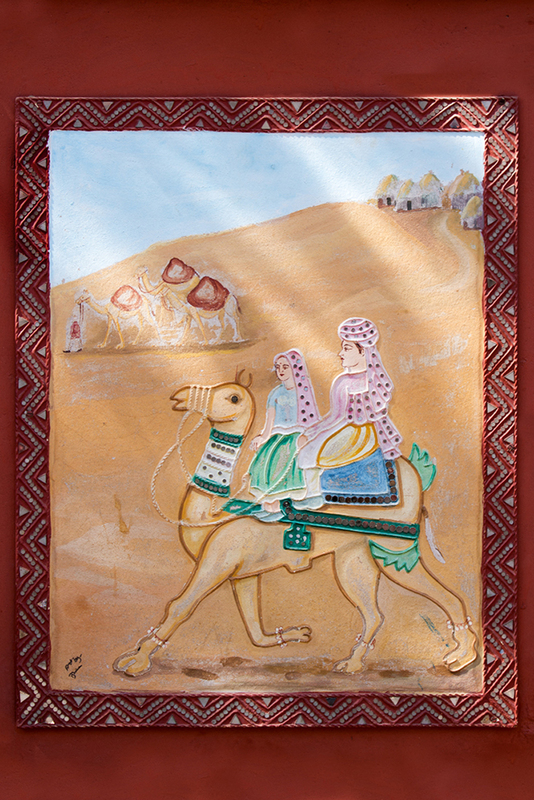 This artwork is famous for its unique qualities and unique methodology carried out for preparing it. They are available in various sizes and shapes. As they are very colorful and eye catching they attract the purchasers for its decent appeal. These artworks are usually available with frame and also without frame. 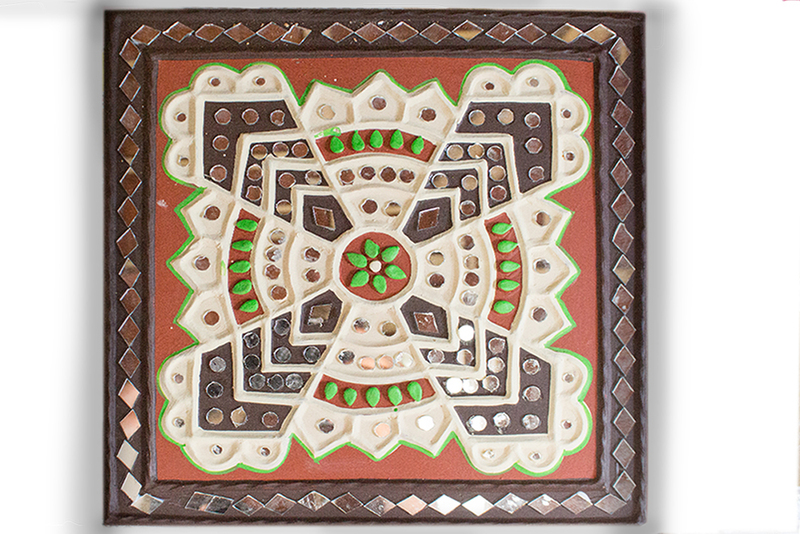 By using this mud art technique many patterns of wall hangings and wall clocks are made. In fact a whole wall of the building and a ceiling can be decorated using this technique directly on the wall instead of using mud art panels. 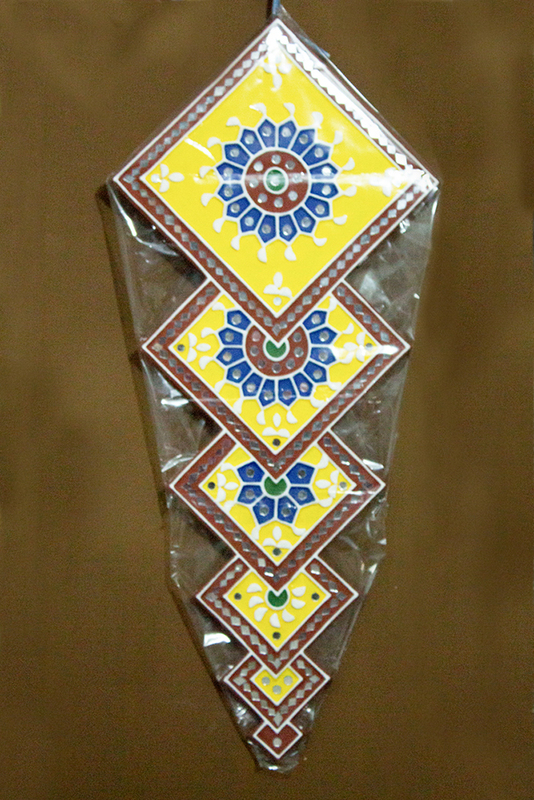 The price of these mud mirror works start from INR.500. The price varies according to the design, shape and size of the work.